We generally take £800 - £1,000 for an event, depending on venue type, location etc. 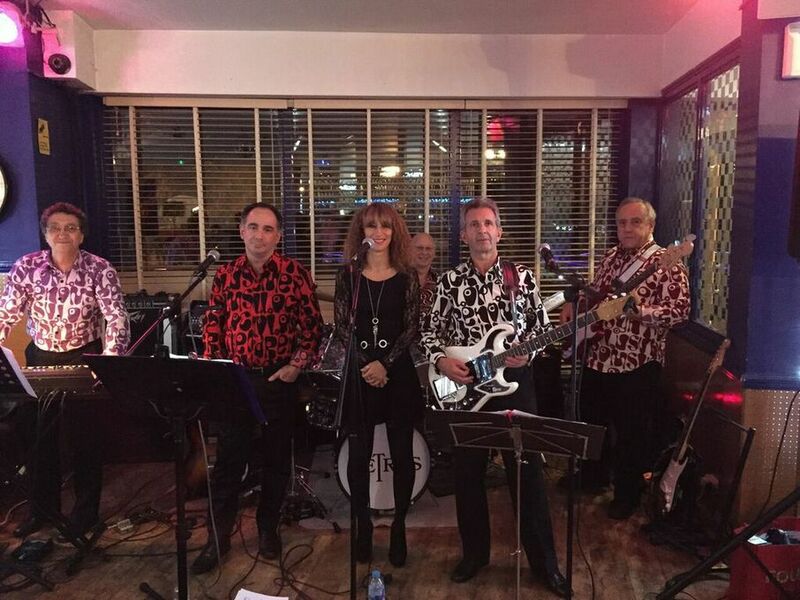 The Swinging Retros is a 60s covers band, based in north west London. The band is made up of 6 members - 2 vocalists (1 female/1 male), lead guitarist and keyboard player, rhythm guitarist (also does vocals), bass player and drummer. We have performed at all kinds of functions/venues over the years, and also play at charity events throughout the year. We tend to take a 30 - 45 minutes break between our two sets. As long as we receive the request in advance of the booking, we will endeavour to learn your favourite song for your event. There will be an additional fee for this. We require a space of approximately 20' x 10'. We have Public Liability Insurance and all of our equipment has been PAT tested. Yes, we have our own PA and lighting. We generally play 2 x 1 hour sets, but we're flexible. We can send them an invoice, upon receipt of which they can transfer the monies online, or cash on the night. Most recently, we have played for some of the larger charities such as Norwood, the NSPCC and various Mencap groups. We have played for St Luke's Hospice and Haringey Council. 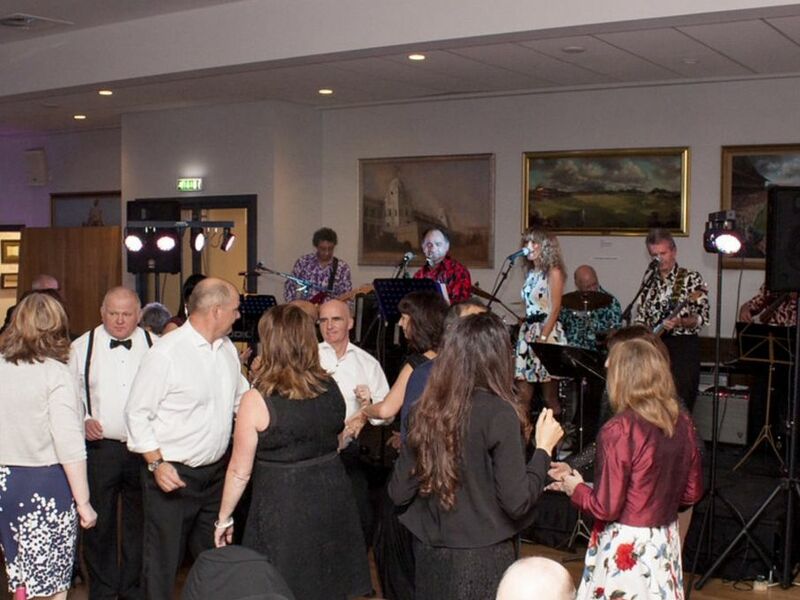 We have performed at numerous private parties (including weddings and special birthdays), music festivals, pubs and charity balls held at exclusive venues such as Bisham Abbey in Marlow. The Swinging Retros' hallmarks are our inventive vocal harmonies together with the band's versatile guitarist supported by state-of-the-art technology, to add other instruments and effects. 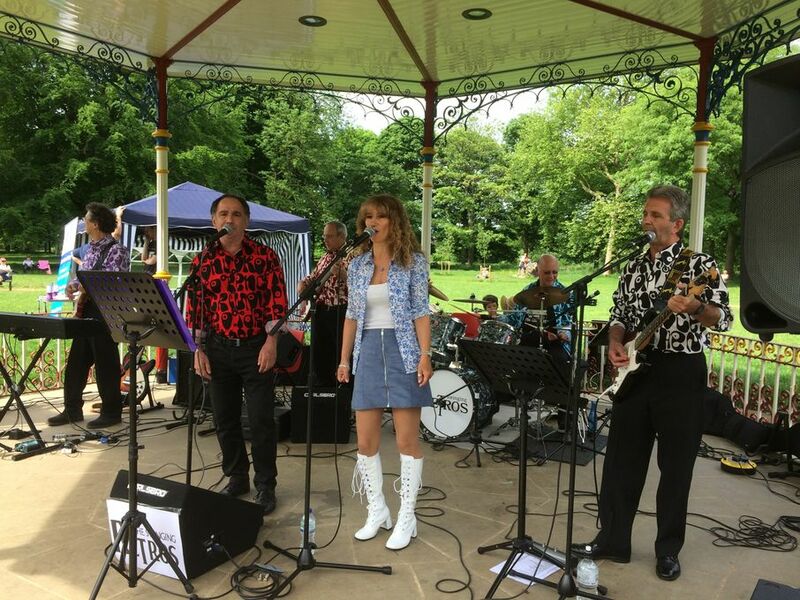 The band is composed of members who have toured the UK (including the Royal Albert Hall), Europe and the USA; some of us have played at the 100 Club on Oxford Street, the Variety Club, and have appeared on television. 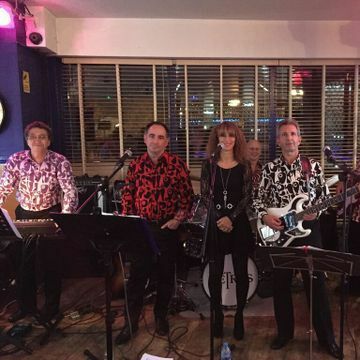 The Swinging Retros are a 6-piece band dedicated to bringing the sounds of the 60s to audiences in and around London, with lively and professional performances.